Rugged, robust and highly practical – Antler’s new Urbanite Evolve collection is designed for explores and daydreamers alike. Crafted from strong fabrics, each piece of luggage in the range is equipped with an array of organisation features, while the multitude of external zippered pockets ensure you’ll always have your essentials handy. From compact messengers to trolleys and backpacks, the Urbanite Evolve range is here to take on any challenge. Interior is crafted from 100% polyester. Main compartment with clipped closure. Main compartment is equipped with a key clip, a phone pouch and two padded pouches – one for laptops and one for tablets. 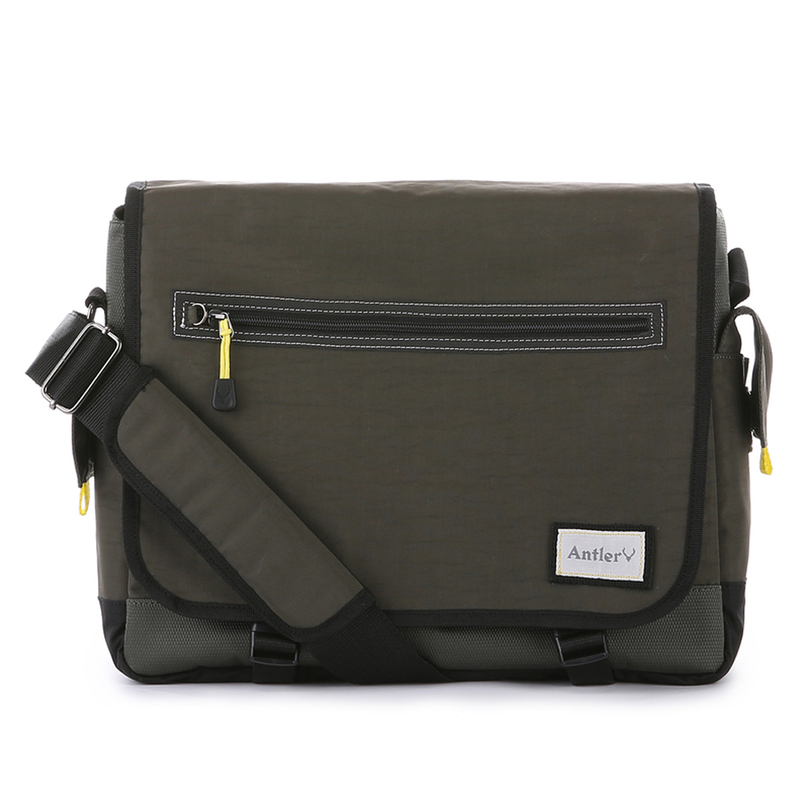 Zippered pocket, mesh pouch and three card slots located under the main compartment’s flap. Additional zippered pocket on top of the flap. Two side pouches with Velcro closure. Rear zippered trolley sleeve lets you feed your bag through a set of trolley handles. Dimensions: 44cm (l) x 35cm (h) x 12cm (w).